Polar Tribes. Yuka is a young girl from an Eskimo tribe called Yupik. She lives in Alaska and the only road that relates her tribe with the big city is through the place where the tribe Haida lives. On this place her people trade and sell goods but lately the tribe Haida is not in a good relationship with Yuka’s tribe. The Haida people claim that the valuable objects that have been stolen from their habitats are stolen by someone from the Yupik tribe. This claim has triggered strange intolerance among the tribes and things are not as they were before. Yuka knows that this claim is not true and she also knows that the thieves that have stolen those valuable objects are hiding far from the capital city. This young girl does not approve the tension between the tribes so she decides that she will do her best to find the thieves and take the valuable objects from them. She likes to bring back those objects to the Haida tribe and bring back the good relations between them. We could also help Yuka and the both tribes improve their relations again and continue their trade as it was before, without any suspicions. Let’s look for those objects and reveal the actual truth about this situation. 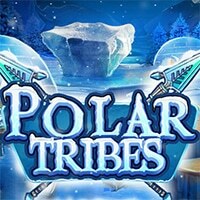 Polar Tribes is a free online hidden object game on Hidden4Fun.